Up to 54% of museums and historic homes have reported damage from pests. Textiles, animal hides, taxidermy, wood works, natural fibers (like wool and feather), books, and paintings contain material that pests can exploit and do irreversible damage to. 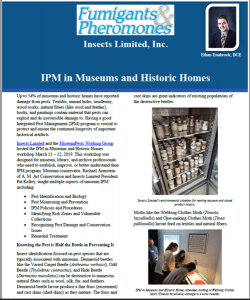 Having a good Integrated Pest Management (IPM) program is crucial to protect and ensure the continued longevity of important historical artifacts. 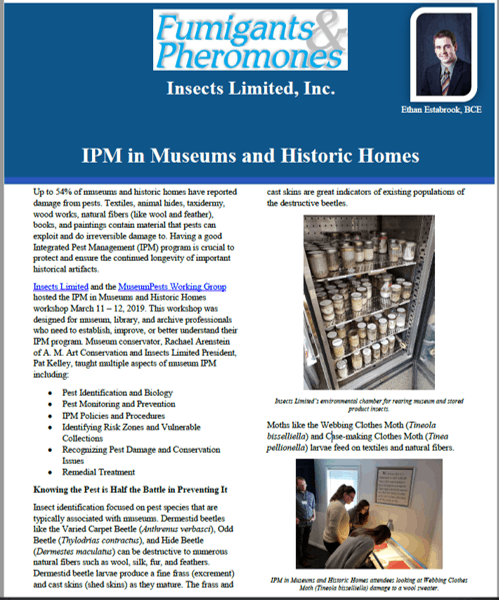 Read more about the program from the Insects F&PNewsletterIssue136 – IPM in Museums and Historic Homes.